Authenticity. 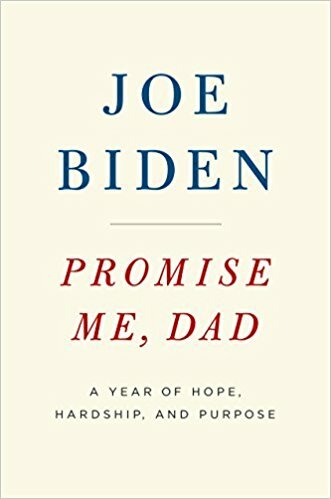 Most readers will pick up a copy of the book titled, Promise Me, Dad: A Year of Hope, Hardship, and Purpose, because the author, former Vice President Joe Biden, is a familiar figure. Those readers who finish the book are likely to feel that they spent this reading time in a fruitful way, coming away with a deeper understanding of character, courage, family and the optimism that leads us to hope. Joe Biden is one of the most genuine and authentic individuals in public life, and his emotions appear unvarnished on every page of this book about the last year in the life of his son, Beau, who died of brain cancer. Rating: Four-star (I like it) Click here to purchase Promise Me Dad from amazon.com.